Much goes into choosing the name of a company. Our choice of the Latin word Praestolor, meaning “Stand Ready,” encapsulates our principles of building high quality, reliable rifles that enable our customers to meet any challenge with confidence and precision. The name harkens back to a time when ancient Rome faced constant threats from abroad and at home. Soldiers and citizens of Rome ‘Stood Ready’ to defend their homes and cities at a moments notice. Today, the Praestolor PAR-15 line of firearms is ready to take up that call to action for warfighters, law enforcement officers and civilians. Every rifle we build starts with our Praestolor machined Billet Lower and Upper receivers made of 7075 T6 billet aluminum with type III hard coat anodization. This process to create the “heart” of an AR-15 produces a receiver set that is stronger than typical mass produced cast aluminum receivers. All lower and upper receiver dimensions are designed to accept all Milspec internals, stocks, grips, magazines and most accessories. We designed our lower with an ample magazine well to allow for smooth magazine changes in high stress situations and the integrated trigger guard is broad with rounded edges for comfort whether you are on patrol, competing, in an all day training class or having fun at the range. The Praestolor upper has several upgrades to include a 1/7” twist barrel made of 4140 chrome moly steel with a phosphated outer diameter and a melonited internal diameter. The receiver is equipped with M4 feed ramps and a Rubber City Armory Black Nitrided BCG for added reliability and easy maintenance. 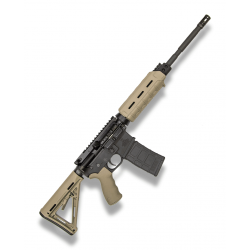 The overwhelming advantage of the AR-15 platform lies in its ability to be customized to countless variations. 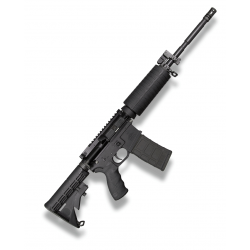 Depending upon your needs, we offer several models of PAR-15 firearms. 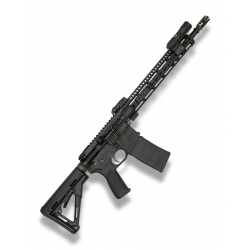 The perfect rifle for the serious enthusiast who wants a quality reliable AR-15 without the tactical appearance of many of today's rifles. A clean and simple design built upon Praestolor's 7075 T6 aluminum billet lower and upper receivers. The Defender will impress you with its stylish design and solid functionality. The firepower of an AR-15 in a compact pistol. 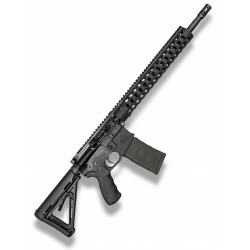 With a 7.5” Barrel, a 7” Troy hand guard and a Sig Sauer Stabilizing Arm Brace (NFA rules apply, this pistol is designed to be shot using the stabilizing brace around the arm and not like a rifle). In many states an AR Pistol meets the classifications of concealed weapons permits (check local laws) allowing you to legally carry the gun in a backpack or briefcase. 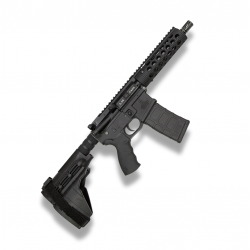 Progressive Defense Carbine – Everything You Need, Nothing you Don’t! Praestolor Arms has teamed up with Progressive F.O.R.C.E. 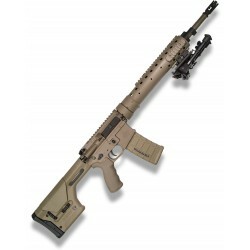 Concepts (PFC) to produce the ultimate gun fighting carbine. PFC trains active duty military units, law enforcement, security professionals and civilians in firearms, tactics and skills. The guiding principles of the design are reliability, efficiency and precision. Every component has been hand selected, tested and approved by the instructors at PFC to produce the best custom defensive carbine out of the box, nothing more, nothing less. While the Progressive Defensive Carbine was born from battle experience, it is the ideal platform for home defense and utility rifle purposes. This time Praestolor has teamed up with Progressive F.O.R.C.E. Concepts to produce the ultimate long range battle rifle, the Mk12 Precision Weapon System. Through feedback from military units and law enforcement tactical teams, a need was identified for an accurate long-range tactical rifle to augment standard issue carbines. The lead instructors of PFC worked with the Praestolor armorers to create a tactical rifle that offers sub MOA accuracy out of the box when configured with the optional Night Force scope. If you choose a Praestolor Arms firearm you will join the ranks of those Standing Ready (Praestolari) against the unknown.